This week we’re excited to introduce you to one of our newer customer service representatives, Gretchen Huffer. Gretchen joined us a year and a half ago and quickly became a bright and cheerful face around FSI. Whether she’s helping a customer over the phone, decorating the department for Christmas or baking a killer dessert for the bake off, her enthusiasm is unmatched. 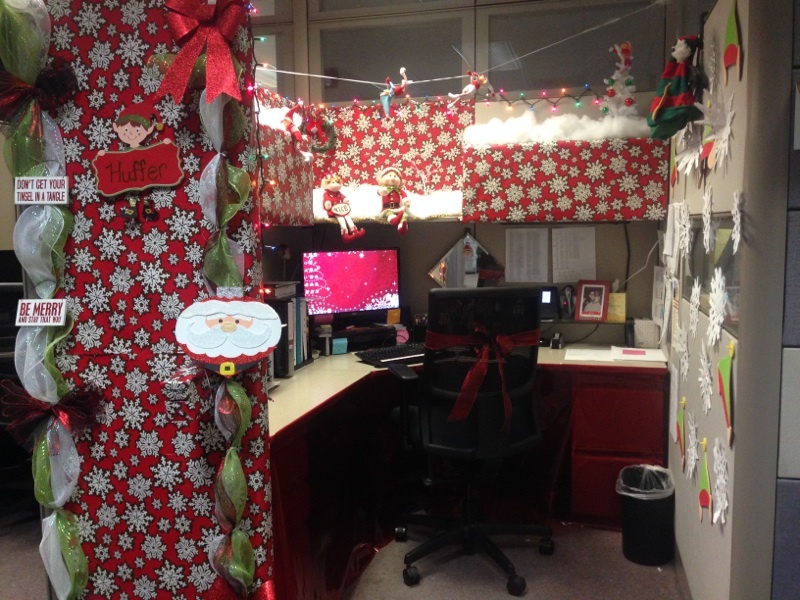 In fact, check out her masterpiece from our “Christmas Cubes” competition last December. Gretchen grew up in the Concord/Midland area and currently lives in Mt. Holly with her husband Kyle and their two dogs Blue (a Catahoula) and Rambo (a yorkie). When she’s at work, Gretchen spends her time answering calls, emails, online chats, inputting orders and researching products-basically whatever it takes to take care of our customers. Customer Service is definitely one of our most lively departments-there’s always laughter to be heard on their side of the building-something Gretchen appreciates. ch or Virginia. She also coaches gymnastics and judges competitions. Something most people don’t know about her, she used to be a competitive gymnast herself and was nationally ranked! She also has a twin brother! Gretchen’s favorite foods are pickles and pasta (hopefully not togetherJ) and Beauty and the Beast and Mamma Mia are her top movie picks. When asked who she would trade places with for one day, it was an easy answer, “Betty White. I absolutely love her carefree and spunky personality.” Nice choice. For a final, fun question-“What would you buy if you won the lottery?” Gretchen replied, “There are just so many things I would do. I would definitely pay off our house, give portions to our church and parents and then invest and save as best we can for the future.” A winning answer for sure. If you work at FSI, you’re bound to know Gretchen by now and if you’re an FSI customer, you’ve probably talked, emailed or chatted with her at some point. Hopefully today’s FSI Highlight gave you a little better window into her world. Not only is she talented at what she does, quick to respond and always ready to help, but Gretchen also brings character and excitement to our office and we’re grateful to have her here. Previous Post: Get Your Bic On!